Five Things Friday: Classroom Organisation Ideas | Keeps Me Out Of Mischief! I feel so hypocritical! I walk around the shops in the last few weeks of the summer term seeing all the ‘Back to School’ stock already out and get angry that we haven’t even started our summer holidays yet, but I’m going to do it, I’m going to share some Classroom Organisation Ideas to give you some inspiration to get you excited about the new year. In my new job I’m determined to be organised from the start! 1. 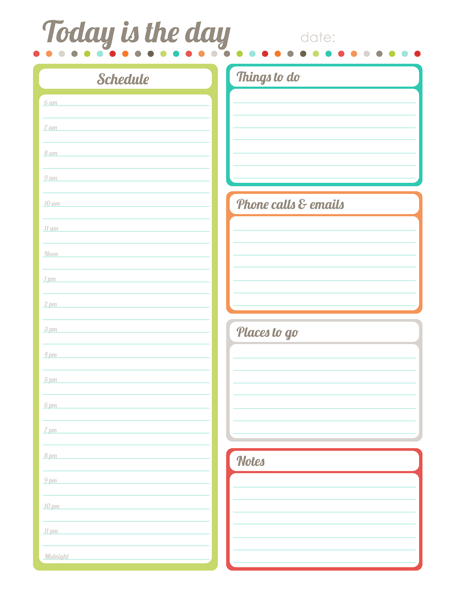 A Modern Teacher has this printable organiser – I’m already on the case with making one of these – must get organised this year! 2. The Daily Cafe has this simple idea for taping a straw to the edge of a notebook do that you can slot a pen or pencil in. 3. The Harmonized House Project has this as a planning for home – but I think I’m going to adapt this for use in the classroom. 4. Precious Perks has this basket to collect notes, money and anything else the kids try to shove into your hands as soon as they walk through the door! 5. I love these seat sacks by Scissors and Spatulas – don’t know if I’d have the patience to make 28 of them though! I’ll teach you when you’re home next!